THINX creates period-proof underwear and they have been breaking taboos around feminine hygiene since 2014. THINX wanted to increase brand presence in eleven countries in Europe and APAC with personalized creative for each market. 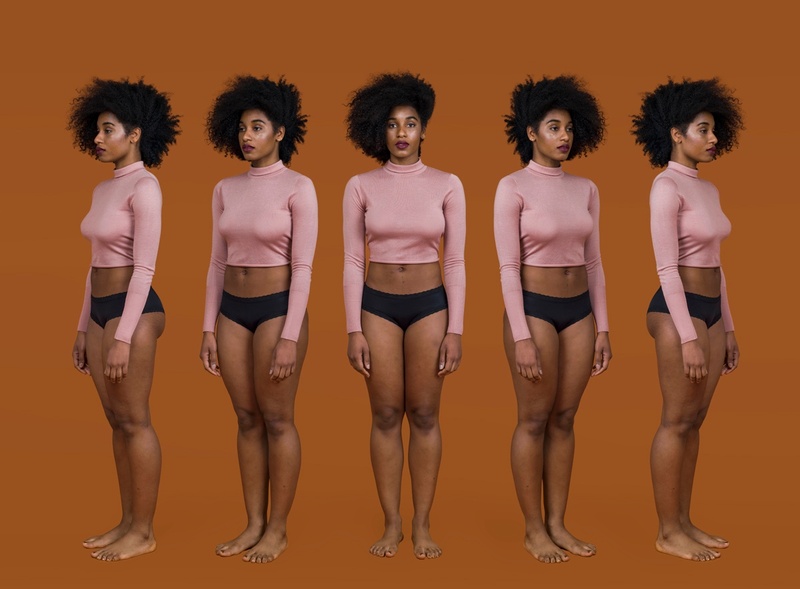 With strict brand guidelines and a product catalog that consisted mostly of simple product imagery, THINX needed a way to start automating creative that would still speak to their brand identity and integrity, without manually editing dozens of versions of the same creative. “We’re excited about the initial results of the Smartly.io Video Templates. What we’ve learned will inform our 2019 content strategy for international markets." This feed was used to add dynamic elements to the Video Template. The eleven targetable countries were included to automatically serve the right video ads for each country. The only manual part about the creative process was selecting the images, creative, and copy to add to the feed. Once the rows were filled, it was time to design the template. With a tight turnaround time, Smartly.io’s Creative Studio produced new video creatives that pulled dynamic content from the carefully curated product feed. The feed included product shots, product-specific copy, country variations, and 17 different intro videos featuring people wearing THINX underwear. Combined with their brand elements to ensure consistency with the rest of their creatives, these videos show how brands can successfully re-use existing assets to create fresh and high-quality videos at scale. Smartly.io’s Creative Studio helped THINX setup and design templates that would pull creative assets from the previously created feed. The different combinations of creative assets resulted in 187 unique videos, with just one video template. This way, THINX had full control over branding and messaging even in the realm of automation. THINX was able to save 3x of work time. 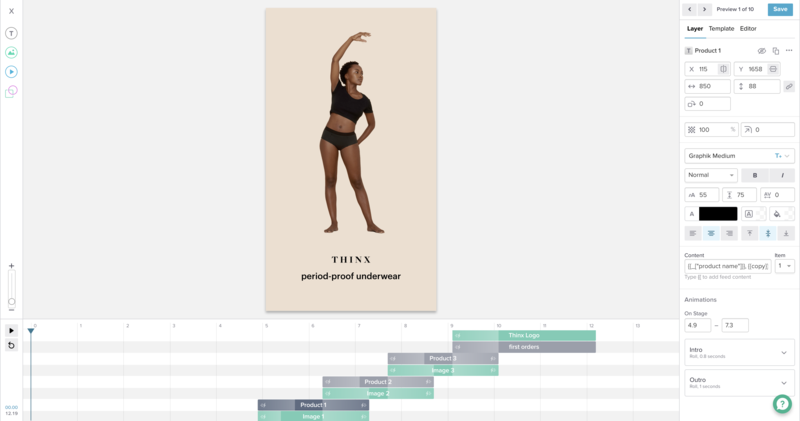 THINX tested 187 dynamic text ads, offering discounted shopping costs and 17 different models to 11 new markets. Performance for these 11 countries could now be used as benchmarks for future prospecting campaigns in these markets. Our next test will evaluate the performance of 4:5 video ads served on FB Stories, IG Stories, and News Feed placements. The videos will be customized dynamically per each country we’re targeting.